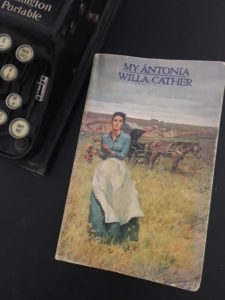 Every year I reread my favorite novel, My Ántonia by Willa Cather, and 2019 will be no different. I fell in love with this novel when I was eighteen and discover new treasures each time I revisit its glorious pages. I found a copy of My Ántonia in a box of books I was unpacking after I moved with my parents to Nebraska the summer I graduated from high school. I was in a new state, a new city, knew no one my age. I was far from my friends and feeling lonely. I turned to what has always brought me comfort during difficult times ~ reading. I love this novel so much that I search out different editions to add to my collection. 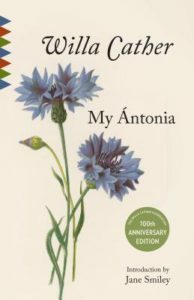 This January, I’m reading not just My Ántonia but all things Willa Cather. 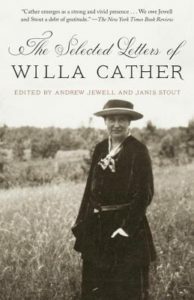 The Selected Letters of Willa Cather – edited by Andrew Jewell and Janis Stout. Withheld from publication for six decades, this collection of musings includes letters spanning from Cather’s teenage years to her final writings. 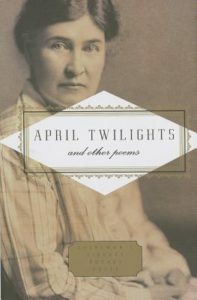 April Twilights and Other Poems – Little known fact – I love reading poetry. I often turn to poetry when I need inspiration for my own writing. One of my favorites by Cather is I Sought the Wood in Winter. The winter sun set red. 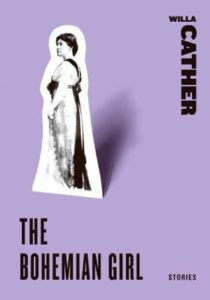 The Bohemian Girl: Stories – A collection of short stories by Cather from early in her writing career. Willa Cather passed away in 1942 but her beautiful words live on. If you haven’t delved into Cather yet, do yourself a favor and give it a chance. Enter your email to enter the giveaway!